The mega-fight millions of boxing fans have been itching to see is finally set. Undefeated pound-for-pound #1 Floyd Mayweather will battle Philippine warrior Manny Pacquiao in quite possibly the biggest fight of this generation. Negotiations between the two welterweights had previously been ongoing since 2009 but Mayweather finally announced that the mega-fight that fight fans wanted to see for years is finally on. Pacquiao had been chasing "Money" for years with the pound-for-pound #1 reluctant to stage a fight with his Philippine rival but the long-awaited bout is finally on. 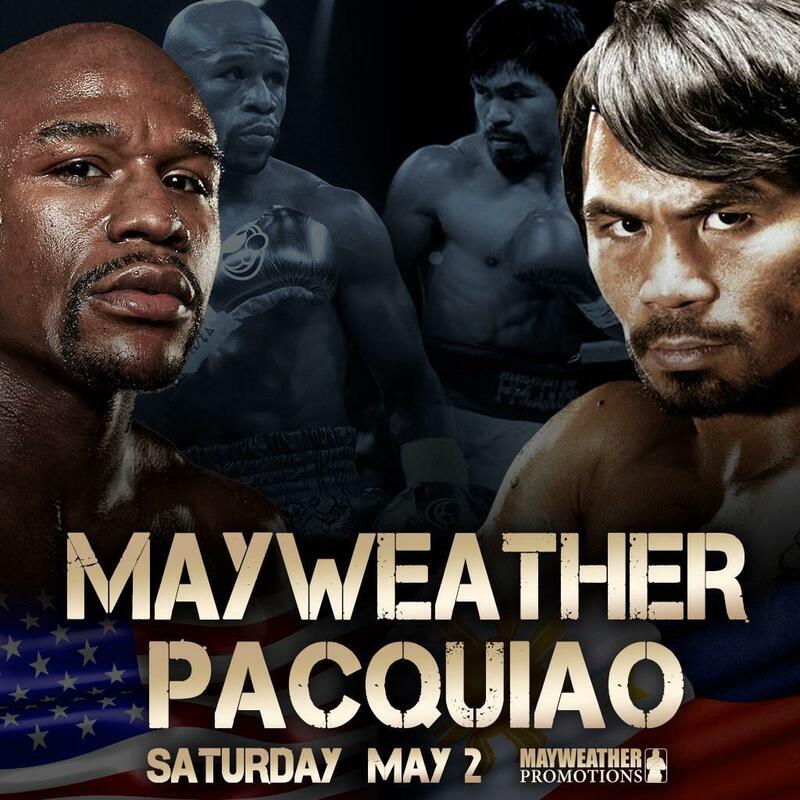 The fight will be contested with Mayweather's WBA & WBC plus Pacquiao's WBO welterweight straps all on the line. There will be a 60-40 purse split with no rematch clause; emphasising the magnitude and true importance of this fight for both men that will ultimately decide their legacies. The fight will be held at the MGM Grand in Las Vegas worth around a whopping $200m with two boxing networks sharing coverage of the bout on this historic night in May. Mayweather: "What the world has been waiting for has arrived. Mayweather vs. Pacquiao on May 2nd, 2015, is a done deal. I promised the fans we would get this, and we did. We will make history on May 2nd. Don't miss it!" "Money" also added: "I am the best ever, TBE, and this fight will be another opportunity to showcase my skills and do what I do best, which is win. Manny is going to try and do what 47 before him failed to do, but he won't be successful. He will be 48." Pacquiao: "The fans all wanted and deserved this fight and I'm happy we're giving the fans what they want." "It is an honour to be part of this historic event. I dedicate this fight to all the fans who willed this fight to happen, and, as always, to bring glory to the Philippines and my fellow Filipinos around the world." Who will win this mouth-watering showdown? The undefeated sensation Floyd Mayweather or the fighting warrior Manny Pacquiao? Share your thoughts in the comment box below! The mega-fight millions of boxing fans have been itching to see is finally set. Undefeated pound-for-pound #1 Floyd Mayweather will battle Phillipine warrior Manny Pacquiao in quite possibly the biggest fight of this generation.